How do mornings go at your house? Here, the mornings can get a little hairy. 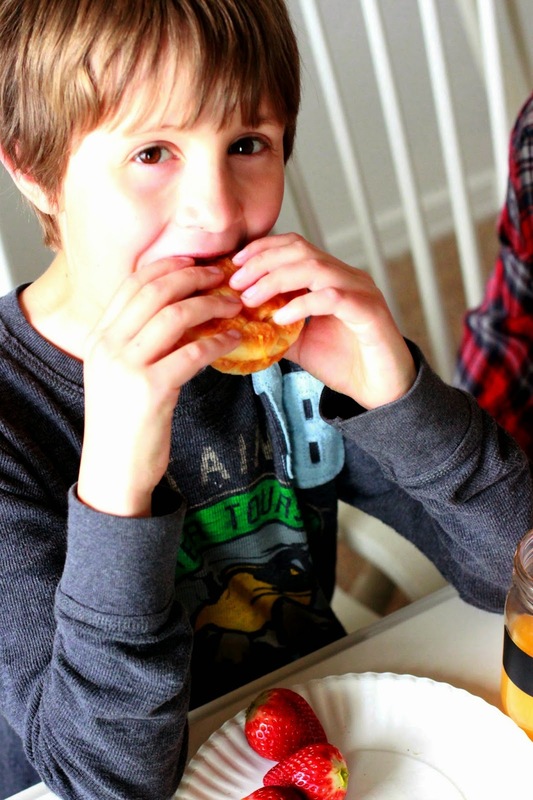 With four boys, there is one thing that morning produces: hungry grumpy little men. They are hungry because well, you know they haven't eaten in the last 30 minutes since the whole they were sleeping thing. They are grumpy because they are hungry. Let me tell you, some days it just isn't too pleasant. So what is a Momma to do to get a good sunshiney morning? The answer is simple. Get them yummy food and get it to them fast. Like, faster than a speeding bullet fast. Throwing cereal at their open mouths is not going to cut it either. They need something delicious, hearty, and packed with protein that will combat the hunger grumpies and will fuel them for a full day of learning and playing. 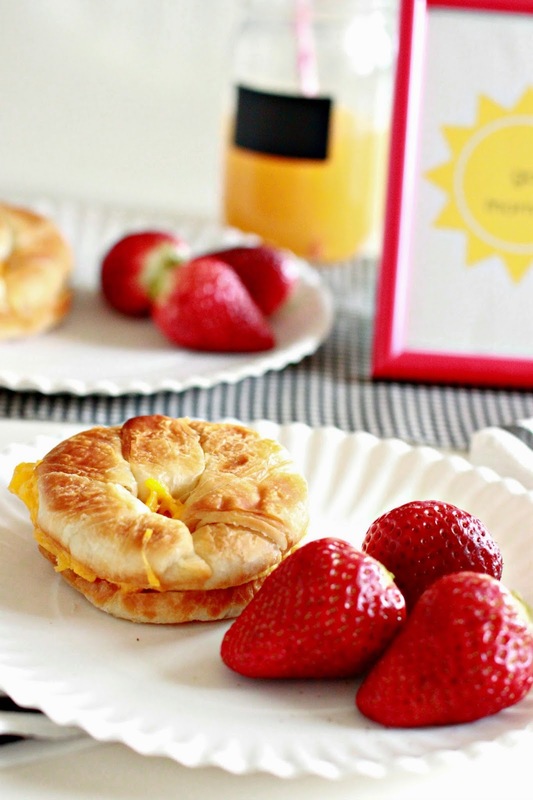 Enter Jimmy Dean and these Sausage, Egg and Cheese Croissant Sandwiches. Man did these yummy sandwiches make my hungry grumpy monsters happy. Since they are done all warm and delicious in less than three minutes, that takes care of the whole faster than a speeding bullet thing. 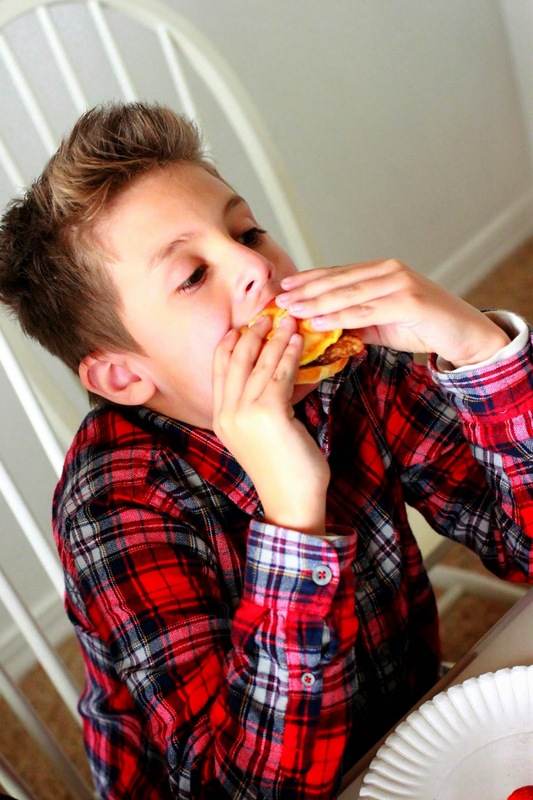 Oh the happiness that happens when my little men eat these sandwiches. They would eat these anytime of day. Pair them with a glass of juice and they are the perfect way to start the day for four growing boys. Now we have one good morning after another. I mean look at these happy let's-start-this-day-off-right-faces! 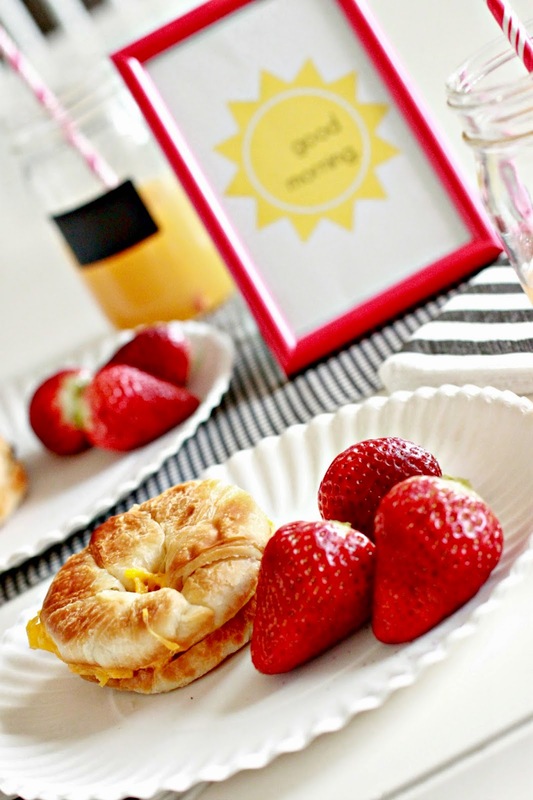 Jimmy Dean offers a wide variety of quick, warm and delicious breakfast options. 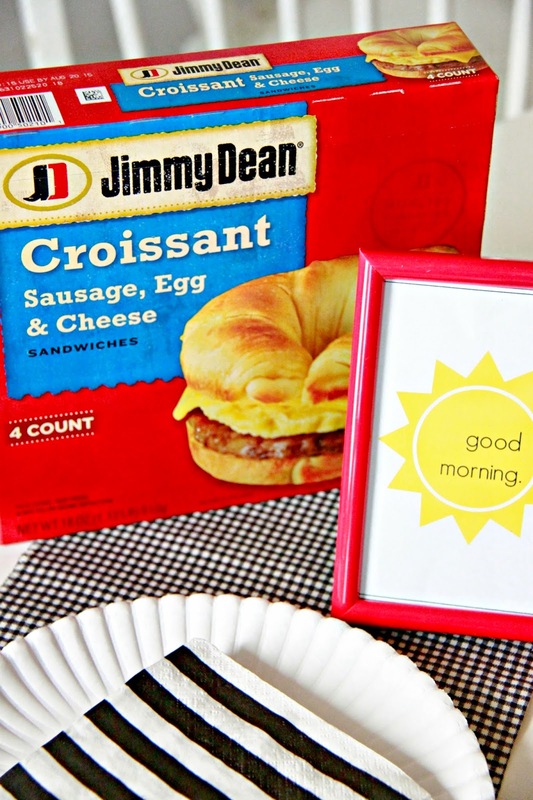 To learn more about Jimmy Dean and to see a complete list of product offerings visit Jimmy Dean's website or check out the brand on Facebook. 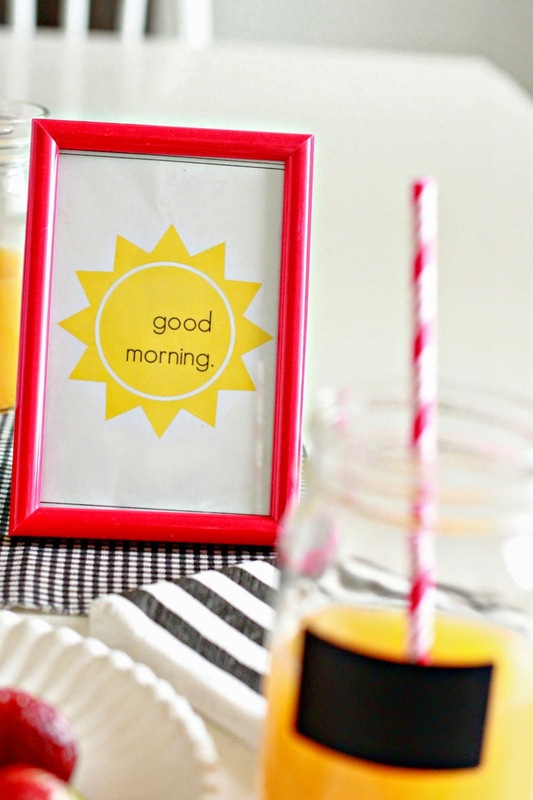 I often greet my boys with a cheerful, if tired, "Good morning Sunshine!" We are having all kinds of good mornings thanks to yummy breakfasts. 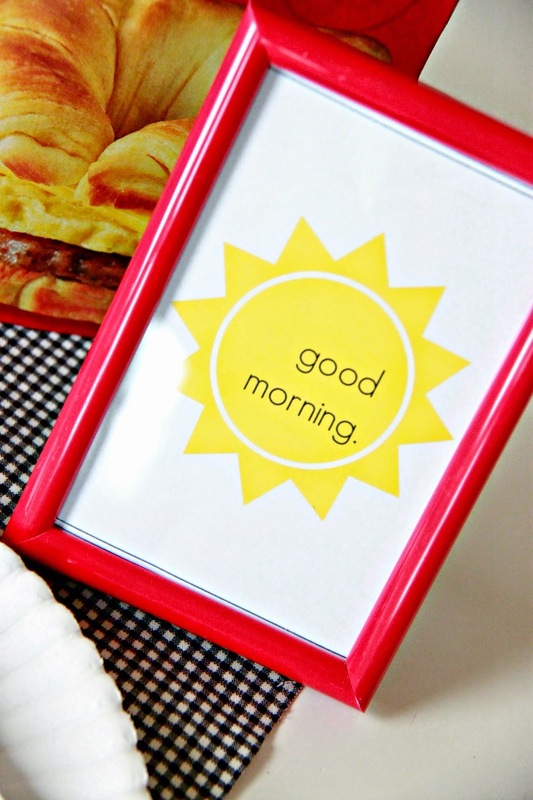 Go grab some Jimmy Dean breakfast for an awesome weekend flavor on a busy weekday morning. 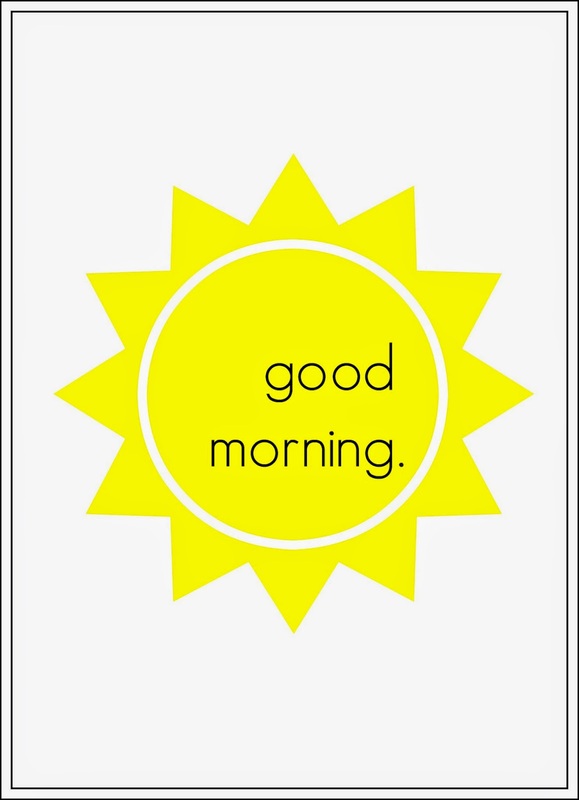 Also, print this sweet little Good Morning printable to hang up on the fridge. That's how we start our days around here. What’s your favorite way to start the day off right? 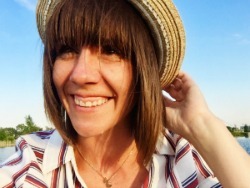 Tell me in the comments for a chance to win a $100 VISA gift card. I love to start my day off right by getting in a super intense workout followed up by a protein packed breakfast. I can be a huge breakfast skipper which I know is bad, so Dad and I have been trying to do better. I love Jimmy Dean muffin sandwiches. I wish I knew where to get all of those varieties. I like to start the day with Greek yogurt. I like to enjoy a bowl of cereal and coffee in the morning. I start my day off with a good breakfast and my Cherry Coke Zero!! I like to start the day off by a morning run followed by a filling nutritious breakfast. Cool Giveaway. I like to start my day with a quick but filling breakfast before starting the school day with my kids. I prefer to start my day with a bottle of water, some coffee, and a workout. It sets the tone for a productive, healthy day. Thanks for the giveaway! With a cup of coffee and a breakfast sandwich! I like to start my day off with a Diet Coke. Gives me a nice caffeine jolt! I like starting my day with coffee, then eggs and toast. Coffee and a warm breakfast are my favorite ways to start my day off right! I start out with hot breakfast and tea. Usually a hot cup of tea and a bowl of oatmeal or a scrambled egg. Thanks so much. I like to eat a bowl of oatmeal. I like starting my day off waking up before everyone else and enjoying some quiet time. I eat protein for my morning to help get me going!!! 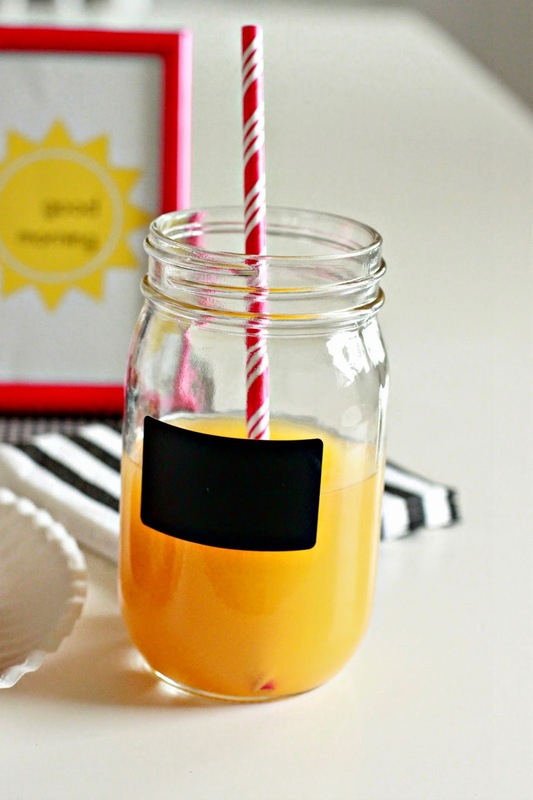 I like to start the day off with a boiled egg and apple juice! To get my day off to a good start I enjoy a kefir smoothie - oh yum! My favorite way to start the day off right is green smoothie. I like to start my day with a strong cup of coffee! My favorite way to start the day off is with a large cup of coffee! I like to start my day of with a nice oversized cup filled with French vanilla coffee! A bowl of broken graham crackers and milk! My idea of starting my morning off right is snuggling with my kids before we have to get going. Waking up to a baby who has slept 12 hours!!! have a cup of latte! I like eggs and potatoes for breakfast. They keep me full for hours! I like to start of with a protein breakfast and hot cup of coffee! I love to start the day with a fruit cup and a yogurt, after a snuggle with my two littles of course. I'm not a morning person so coffee is a must for me! My favorite way is to start out with pancakes. I love to start my morning with a creamy cup of coffee, and some quiet time. I like to start the day with scrambled eggs, toast and fruit. I like to start my day with a toasted bagel and cream cheese with a glass of orange juice. My favorite way to start the day off right is by having oatmeal with fresh fruit and coffee for breakfast. I start my day by giving Thanks for the new day and having a small breakfast. I love to start the day with a hearty breakfast. This morning it was smoked salmon over crusty French bread. I like to start out my day with a cup of coffee and a slice of toast. I always like to start off my day with a cup of hot black coffee. I start off my day with bowl of oatmeal and fruit. I like to start the day with coffee and a protein bar. My favorite way to start the day off is dosing off in the shower!! I start my day with some coffee. I start my day off right with a nice hot shower! I like to start my day off with fruit and a glass of OJ and in the winter oatmeal also! If i get up and exercise I feel like I've started the day off right. My favorite breakfast is fried or scrambled eggs, a bunch of hash browns, and oven cooked bacon. Sometimes toast. I start off with coffee but move on to homemade oatmeal pretty quickly. On a day where I need to be physically ready to go, I need a cup of coffee, a bottle of water and a big bowl of oatmeal. My fav way to start the day is drinking a fresh fruit smoothie that I made myself and sitting on the deck listening to the birds sing while drinking it! I start my day off with oatmeal with blueberries and a cup of coffee! These look great! I like to start off my day with scrambled eggs, bacon, coffee and orange juice. I like to start my day with a cup of coffee and read the paper. Then I have a nice breakfast of cereal and toast or eggs and toast. I love to start the day off with a good breakfast and cup of coffee. My day begins with some intense purring, followed by making coffee, toast, and sometimes eggs, before walking my dog. I usually start with Special K and coffee. I start my day with a cup of coffee. I start my day off right with a steaming cup of hot, black coffee! I always go for a walk and then eat a piece of fruit to start my day. I wish I could say that I always start my day with a good breakfast but that wouldn't be true. Usually it's coffee and a bagel or yogurt. I start my day off right with a morning run and then breakfast. I start my day off with reading my Bible, praying and eating a healthy breakfast. I like to start the day off with coffee. A glass of milk with instant breakfast powder and a piece of fruit. I love to start my day with a HOT meal and time to eat it. I hate rushing through breakfast! I like to start my day with a cup of coffee and either a bowl of cereal or a waffle. Thank you! It's always needed to start off right with a good cup of coffee.